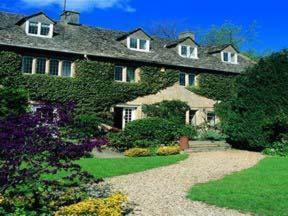 Lower Brook House is a 17th-century building offering 5-star service in the picturesque Cotswold village of Blockley. It has large, individually-decorated rooms with beautiful country views and home-made biscuits every day. Enjoy an imaginative menu in the evening and a hearty Cotswold breakfast in the morning. The hotel&apos;s restaurant proudly uses fresh, local ingredients. It is advisable to make a prior booking to avoid disappointment. Please note: the restaurant is normally closed on a Sunday evenings, except on Bank Holiday weekends when it is open.